The Service Center at LaGrange Toyota in Georgia offers express maintenance service to take care of routine service as quickly as possible for your convenience. We understand your time is valuable, and while making sure your vehicle gets the regular maintenance it needs to stay in tip top condition, you want to get these tasks done with little interruption to your day. Our team of certified Toyota technicians have the expertise to service your Toyota as well as many other makes and models, and that knowledge helps them make quick work of regularly scheduled maintenance tasks and lesser repairs. You might not see them on Pit Road at a NASCAR race, but they have that mentality to do the job right and right on time. 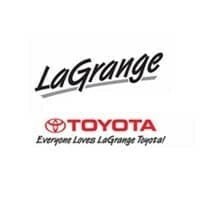 Bring your vehicle to LaGrange Toyota’s Service Center for oil and filter changes, brake inspections, tire rotations, fluid inspections and replacement, multi-point vehicle inspections, and other important yet minor work. You can schedule your express maintenance appointment right here from our website, or feel free to call us at (706) 222-1029 or visit us at 1221 Lafayette Parkway, LaGrange, GA 30241.